The English language is dynamic. This means it is always changing. Older words fall into obsolescence, for example malagrugrous which in Scotland once meant dismal, is no longer used. This is counteracted by the development, usually through popular culture, of new words. It wasn’t too long ago that our use of the word kryptonite was restricted to super-hero comics, but since June 2015 it has also had a place in the Oxford English Dictionary. 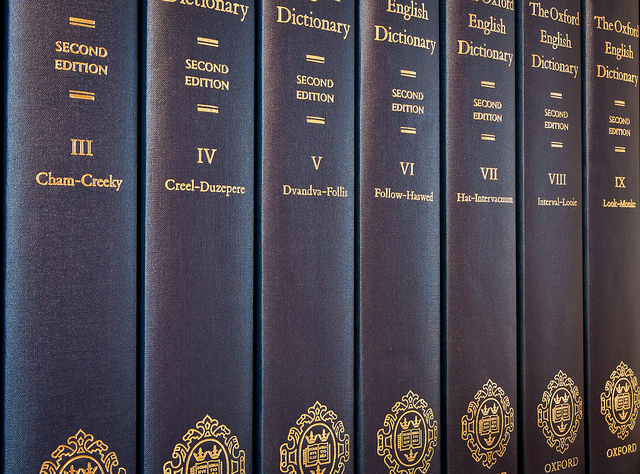 All of this keeps the dictionary wordsmiths very busy; the OED for instance is updated in March, June, September and December every year. The 2006 September additions provide a list that is both mystifying and entertaining. We have picked out a few choice examples for your information and enjoyment. A derogatory term used to describe media of dubious quality, which has been placed in order to gain the maximum possible volume of web traffic. A method of attracting customers with simple free services, in order to encourage them to take up offers of more advanced paid services. The practice of combining entertainment facilities and retail opportunities, in order to attract customers. 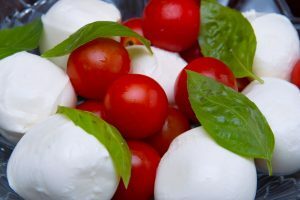 Bitesize balls of mozzarella cheese, usually packed in water or whey. Also means ‘small mouthful’ in Italian, referring to diminutive but tasty morsels of food. Someone who operates a film or video camera. Behaviour that is of an aggressive or antisocial nature. An abbreviation of ‘you only live once’ used as an excuse for making hasty decisions or engaging in reckless activities. An extension of the word ‘scrumptious’ used by the BFG (Big Friendly Giant) in Roald Dahl’s popular children’s tale. 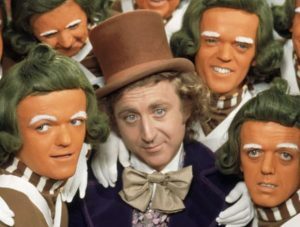 An orange-faced, green-haired character from Roald Dahl’s ‘Charlie and the Chocolate Factory’. Sometimes used as a derogatory description. Love them or hate them, new words will always be an element of the English language. This is exciting because it means that we all have the opportunity to influence its evolution. We might make up our own words or espouse others that suit what we are trying to say. Social media has increased the speed at which new words become popular. Which unusual words are your favourites? Can you think of any that we might all like to adopt? ← Feedback: receive or resist?